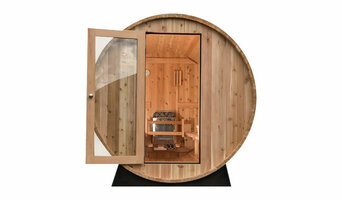 Almost Heaven Saunas has been handcrafting beautiful home saunas for nearly 40 years. Our full product lineup includes our signature outdoor steam barrel sauna and our true-to-tradition indoor steam saunas that demonstrate in every detail our unmatched quality, durability, and value. Almost Heaven Saunas is a U.S. industry leader, supplying custom options to a growing market of individuals who are eager to experience sauna benefits that are typified by personal health, wellness, and relaxation. Tindall Construction is a swimming pool contractor that has been in business for over 30 years. We have built over 500 pools in West Michigan. We build both vinyl-lined pools and all concrete plastered pools. Kyle Kalman has been in the swimming pool business since 1989. After getting married and starting a family, he and his wife, Jennifer, decided to build their own business. In 2001, along with the birth of their first child, Jack, they built their first pool. They have been fulfilling the dreams of their many satisfied customers ever since. They are proud builders of quality, in-ground vinyl liner swimming pools. Our services range from free phone consultations and job estimates to pool openings or closings, pool maintenance, and remodeling or vinyl liner replacements. We’ll serve you with a smile and will be there to provide on-going services as long as you need us. Blue Water Pools of Grand Rapids, Inc.
Blue Water Pools, Inc. located in Grand Rapids, MI, is one of the areas premier in-ground swimming pool & spa design and construction companies. Servicing the Grand Rapids, Holland, Kalamazoo, Lansing, and Grand Haven areas, we are proud to provide total design solutions to fit the unique needs of all clients. With over 20 years of experience with concrete pools, our designers and craftsmen are the finest in the industry. We take pride in our team of visionaries who bring creativity, expertise, and long-term solutions to your backyard living environment. Blue Water Pools, Inc. is committed to designing and building a backyard living environment that is uniquely yours, whether it's a gunite pool, or one of our custom concrete pools. We use only the very best in materials and can accommodate projects of any scale. At Blue Water Pools, Inc. it is our goal to create the prefect outdoor environment for every customer. Catering to your needs and desires keeps us at the forefront of our industry. With Blue Water Pools, Inc. you can expect innovative and captivating design, the highest quality in every installation, and exceptional service. We look forward to becoming your total backyard living solution. Feel free to reach out to us, we would love to hear from you! Specializing in building custom shotcrete/concrete free form pools & spas. From something simply relaxing to completely astonishing! Established in 2006, Tri City Pool & Spa brings together 30 years of experience to the pool and spa industry with the team of Brian Smit and Greg McCallister. Brian is a business graduate with over 19 years of experience in the pool and spa industry. Greg is a seasoned veteran of the maintenance and service field with over 18 years in the pool and spa industry. Combining their skills and knowledge in caring for your pool and spa, they use the latest in state-of-the-art technology to diagnose and treat your pool's or spa's specific problems, answer any questions on how to care for and treat your water's chemical balance, and what chemicals are best to use. Brian and Greg believe in friendly, old fashioned, hands-on service at reasonable rates. Since 1973, Kalamazoo Pool has been the leader in new pool construction, repairs & service, maintenance, and renovations of in-ground swimming pools. With such high quality industry partnerships as BioGuard Chemicals, Fort Wayne Pools, Baja Spas, Merlin Safety Covers, Pool Cleaners by Maytronics, S.R. Smith, Inter-Fab and Hayward Equipment, we have a variety of product choices that look great, are easy to use and provide years of worry-free enjoyment for every pool owner. Spa Tec is Western Michigan’s premier service company for renovation and/or repair of all brands of portable and custom spas, hot tubs, swim spas, Jacuzzi, whirlpool bathtubs, jetted bathtubs, air bath tubs, saunas (steam or dry), luxury shower systems and baptismals. Established 1991. Insured: Commercial / Residential. We are a premier partner and source for relaxation and fun experienced through pools, spas, and outdoor living. We partner with designers, architects, landscape contractors, real estate agents, and other professionals as part of your project team. 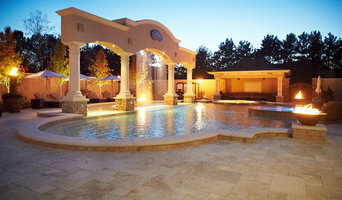 By providing pool, spa & outdoor living products, services, and expert advice our goal is to create memorable outdoor living time, spaces, and connections for our customers. If you’ve been dreaming of relaxing summer days spent poolside, it may be time to consider hiring a Holland pool builder. A professional can not only help with design and pool installation, but also aid in appropriate maintenance once it’s complete. Whether you're at the beginning stages of planning or want to revamp your existing pool, a pool company in Holland, MI will be able to get you on the right track. What exactly do Holland pool builders do? If you are planning for a new pool in Holland, MI, a swimming pool builder will analyze your outdoor space and your aesthetic wishes to determine an appropriate design for your yard, installing it once the plan is developed and approved. Once installed, some pool companies in Holland, MI can handle the necessary cleanings, water testing, renovations and equipment replacement or repairs for your pool or spa. If not, many can also suggest Holland, MI swimming pool contractors or maintenance services to help with upkeep or repairs down the road. Here are some related professionals and vendors to complement the work of swimming pool builders: Garden & Landscape Supplies, Landscape Architects & Landscape Designers, General Contractors, Landscape Contractors, Solar Energy Contractors. Before hiring a swimming pool construction company to create your new Holland, MI pool, determine how you'll be using it. Will it be for fun or for lap exercise? Will the primary users be children, adults or a mix of the two? Knowing the use can help you find Holland pool builders who shares your aesthetic. Once you find swimming pool builders in Holland, MI who share your style, research is critical. Review customer references and comments, collect at least three to four estimates to compare, meet with potential Holland pool designers and builders in person and ensure that they are Michigan certified service professionals and licensed with the registrar of contractors before making any final decisions. In addition, get a sense whether they plan to complete the pool installation and be done with it, or whether they seem interested in building a long-term relationship with you. Be wary of the former: it's likely a reflection on the level of quality of the pool construction they do. Find a Holland pool contractor or designer on Houzz. Narrow your search in the Professionals section of the website to pool builders in Holland, MI. You can also look through Holland, MI photos by style to find a pool or spa you like, then contact the local pool company who designed it.